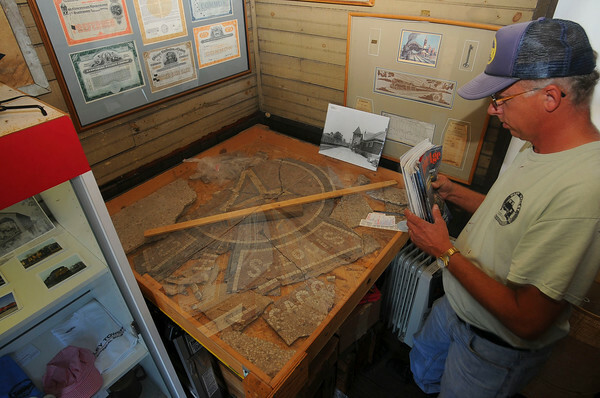 Tribune-Star/Jim Avelis Big 4 jigsaw: Bill Foster stands by the protected mosaic tile Big 4 floor piece. The railroad museum rescued the work after the station was demiloshed. Hopes are to re-assemble it and put it on display.